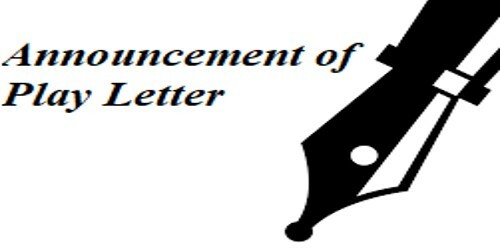 It is my pleasure and privilege in writing this letter to invite you and your family for the play that is going to happen on (date: dd/mm/yy), at The (Theatres name), (Place name and time). (Describe in your own words). Shakespeare’s play Macbeth (play type) is one of the best among the tragedies written by Shakespeare and we are proud to showcase the play in our theater for the first time in (Theatre name). Shakespeare, as everyone knows, is a great dramatist who has written 37 plays in his career (also sonnets) which includes the theme of tragedy, comedy, romance, tragicomedy, etc. (Explain all about the program). The play Macbeth is a tragic comedy which is connected with the theme of vaulting ambition which made ‘Macbeth’ reach heights among the literature lovers. We believe that it’s our greatest achievement to showcase a play, a Shakespearean play at that, for the first time, in the entire history of (Area and city name). We would like to invite you for witnessing this historic moment. (Cordially Describe your requirements). I, (name of the sender) am writing this letter to inform you that there is play happening in ( mention the venue) at (time) on (date). (Describe in your own words). The name of the play is (name of the play) written by (name of the author) and is based on the theme of (mention the theme) which comes under the category of (mention which category). (Describe all about the program). We, the organizing team are pretty sure that each and every one of you attending the play will be benefited with a really wonderful work of art which you could cherish forever. Try to be there on time and hook your seatbelts because it’s going to be a fantabulous play. (Cordially Describe your requirements). If you do have any doubts or queries about the same, please do feel free to contact us (phone number).